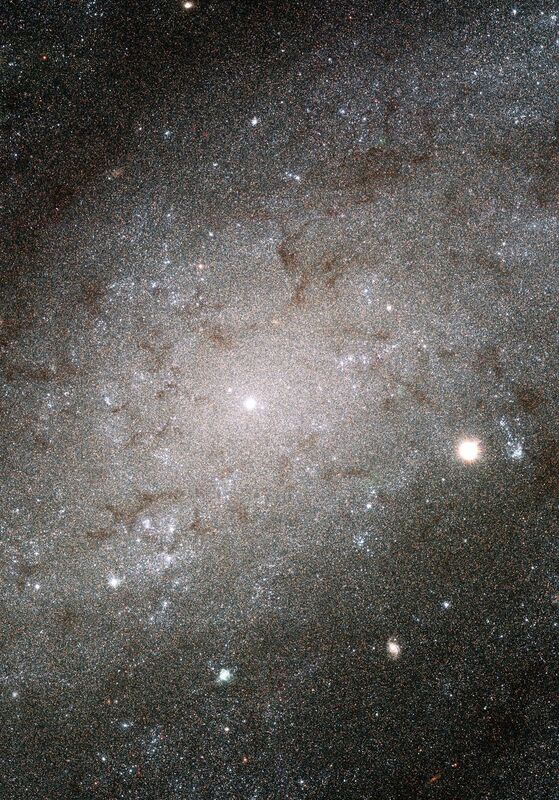 What appear as individual grains of sand on a beach in the image obtained with NASA's Hubble Space Telescope are actually myriads of stars embedded deep in the heart of the nearby galaxy NGC 300. The Hubble telescope's exquisite resolution enables it to see the stars as individual points of light, despite the fact that the galaxy is millions of light-years away. NGC 300 is a spiral galaxy much like our own Milky Way galaxy. It is a member of a nearby group of galaxies known as the Sculptor group, named for the southern constellation where they can be found. The distance to NGC 300 is 6.5 million light-years making it one of the Milky Way's closer neighbors. 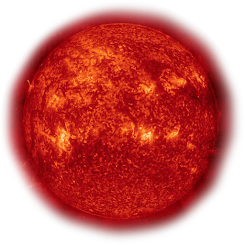 At this distance the brightest individual stars can be picked out even from ground-based images. With a resolution some 10 times better than ground-based telescopes, Hubble's Advanced Camera for Surveys ACS) resolves many more stars in this galaxy than have ever been seen before.